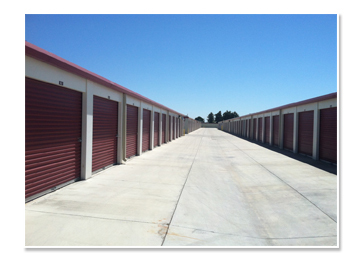 At American Self Storage how many units do you have and what range of storage unit sizes do you offer? We have 500 units ranging in size from 5'x5' to 15'x30'. Our gate hours are 7am to 8pm to allow ample access hours everyday to your property. Office hours are 9am to 5:30pm. We are closed on Sundays. Our expert staff is here to help solve all your storage problems. We sell packing and storage supplies and can tell you the most efficient and secure methods to store your property. We can also recommend movers or truck rentals to help solve your storage problems. First month's rent and a one-time $10 administration fee. We do have occasional move-in specials and will always attempt to meet any competitor's price. Once you move in, your rental agreement is on a month-to-month basis. Will my stuff be safe at American Self Storage? 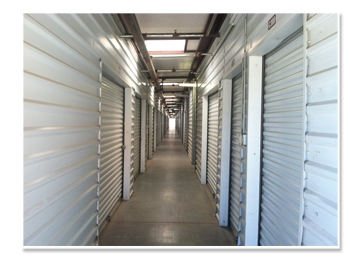 Our self storage facility is enclosed with an electronic gate and security system. 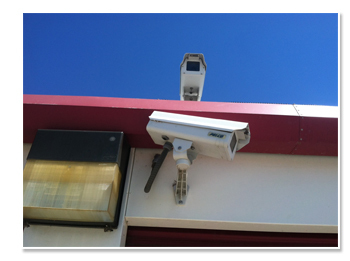 In addition, we have 24/7 video surveillance and all units are individually alarmed. Our on-site resident manager keeps an eye on things also! Check with your homeowners or renters' insurance to see if your stored property is covered by your policy. If you find that you do want insurance, we can provide you the name of an insurance carrier that specializes in self storage. What can't I store at American Self Storage? Our staff can also provide you with specific packing tips to ensure that your stored property is not damaged.